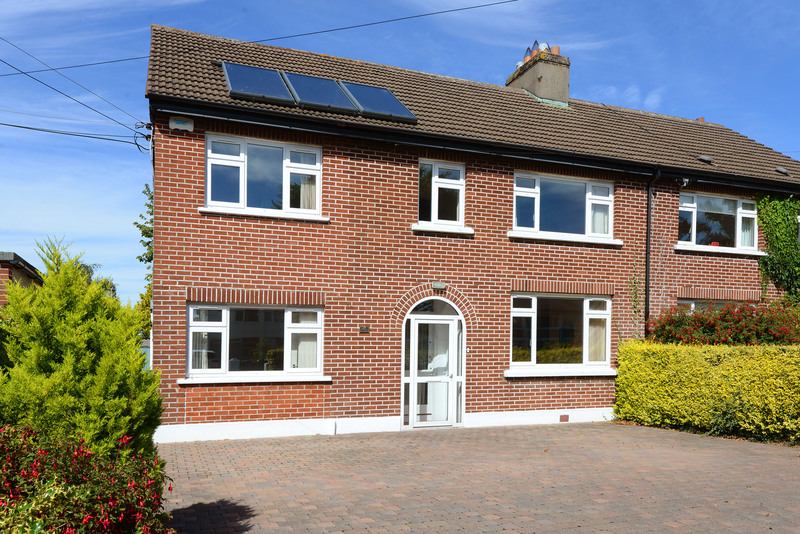 Location: 40 Hillcourt Road, Glenageary, Co. Dublin. 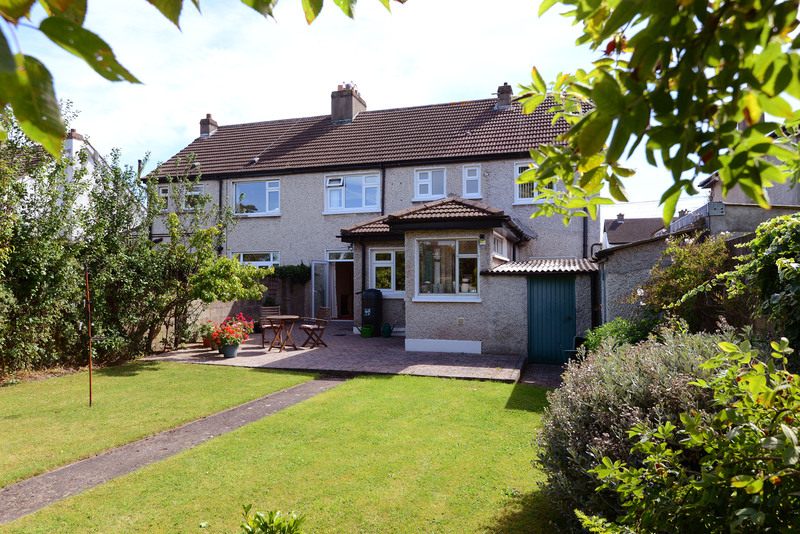 Finnegan Menton are delighted to offer 40 Hillcourt Road, Glenageary to the open market. 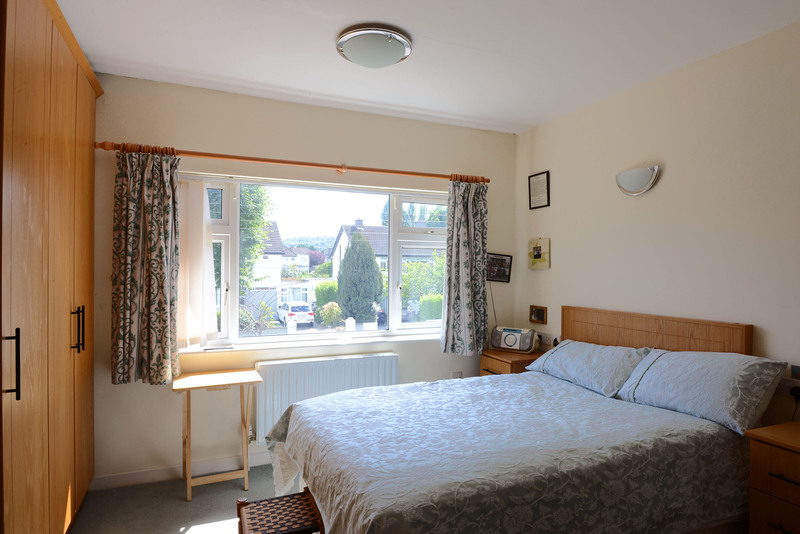 This wonderful 5 bedroom semi-detached redbrick family home extends to c.163sq.m. 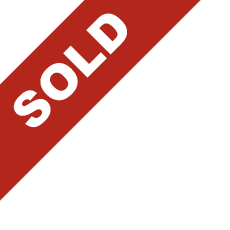 (1,755sq.ft.) with a large cobble locked driveway and sunny private westerly facing large rear garden, which will offer excellent afternoon and evening sunshine. 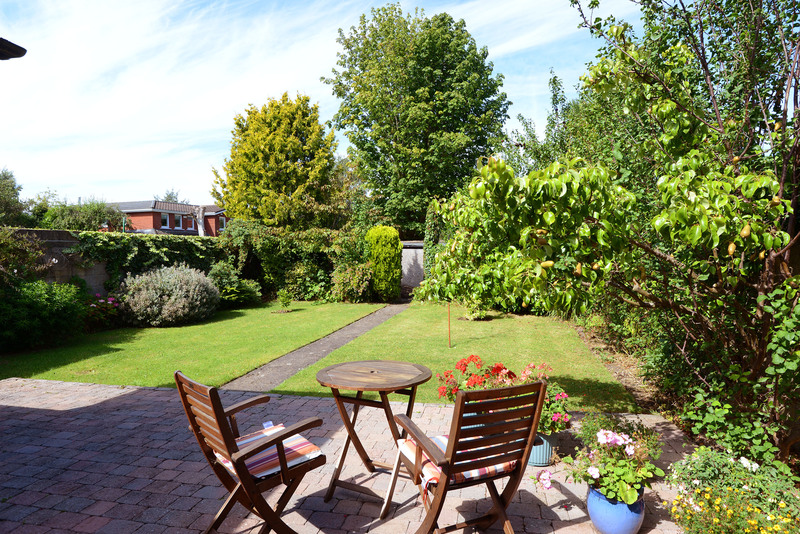 This garden also has the benefit of a vegetable garden area and gardeners shed. 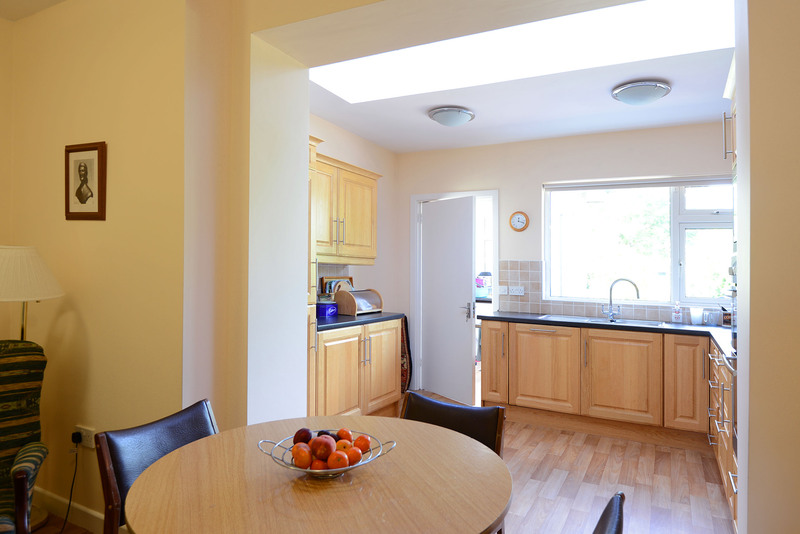 This house was fully renovated in 2009 to an excellent standard of finish and benefits from solar panels, new heating system, fully re-wired, re-plumbed, dry lined, new kitchen and bathrooms, new double glazed windows to name just a few. Viewing highly recommended. Hillcourt Road is just off Glenageary Road Upper and close to shops, schools and churches. Telephone point, under stairs press, covered entrance porch, alarm panel, carpeted, cloak press. 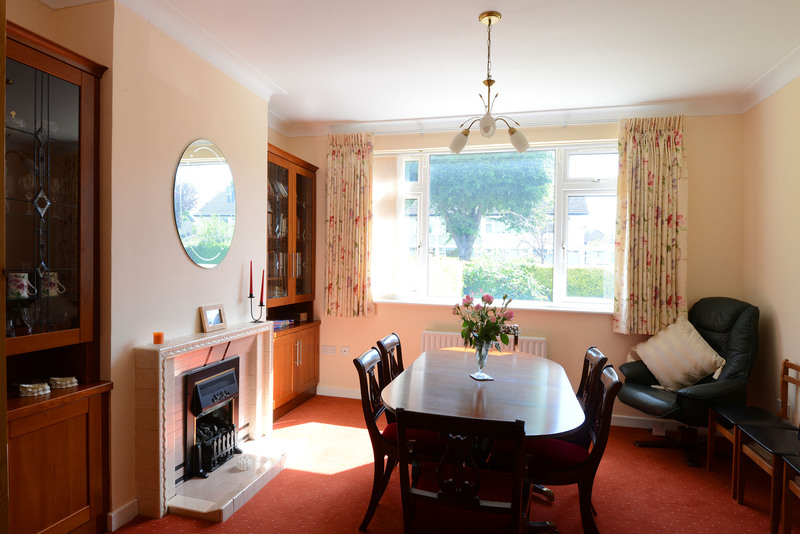 Gas fire place with tiled mantelpiece, coving, two fitted timber cabinets included , tv point, carpeted, double door to dining room. Tiled open fireplace with electric fire insert included, carpeted, tv point, coving, carpeted, double doors into patio area. Marble fireplace with gas fire inset, lino floor, open plan with kitchen area. 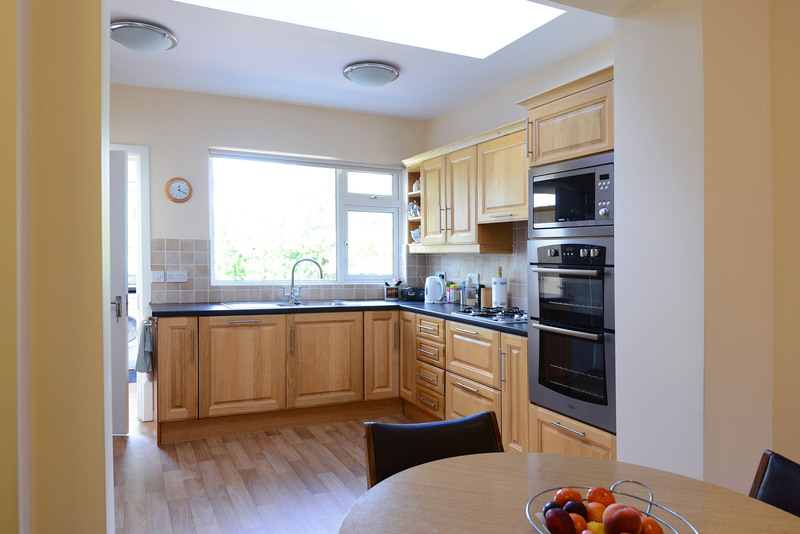 Oak fitted kitchen, units with stainless steel sink, all integrated kitchen appliances included: Belling Fridge Freezer, Beko microwave, Belling double cooker, Vison 4 ring gas hob, Siemens dishwasher, 2 velux roof lights make the kitchen very bright and inviting space. Back door entrance, Bosch washing machine and White Knight tumble dryer included in the sale. Lino floor, dual zone heating control and gas boiler, fitted presses. White suite comprising Mira electric shower with glass shower door, wc, whb, full wall and floor tiling. Two door oak fitted wardrobe, tv point. Fitted oak desk, fitted oak wardrobe, carpeted. Power shower with Image ultra glass door, fully tiled. 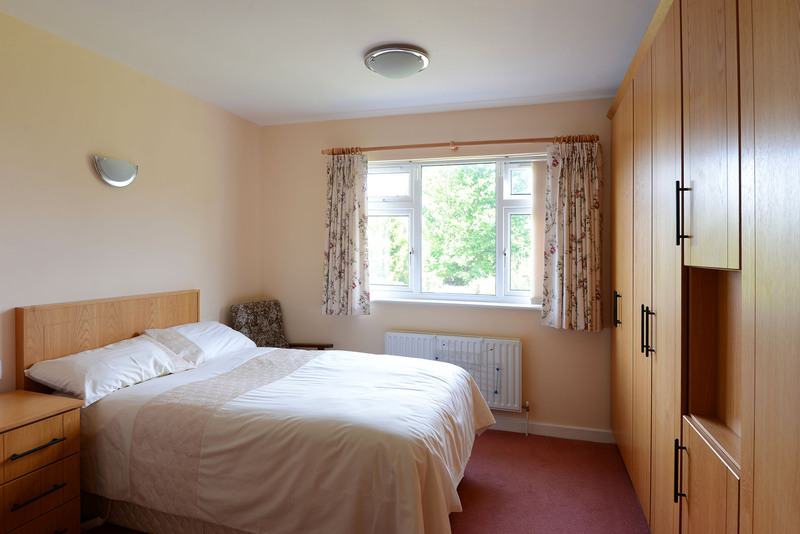 White suite comprising wc, whb, bath, fully tiled, mirror and towel rail. Hotpress: New plumbing system with large insulated water tank, Ecologics solar panel controls, two linen shelves. Landing: Carpeted with two attic access hatches. 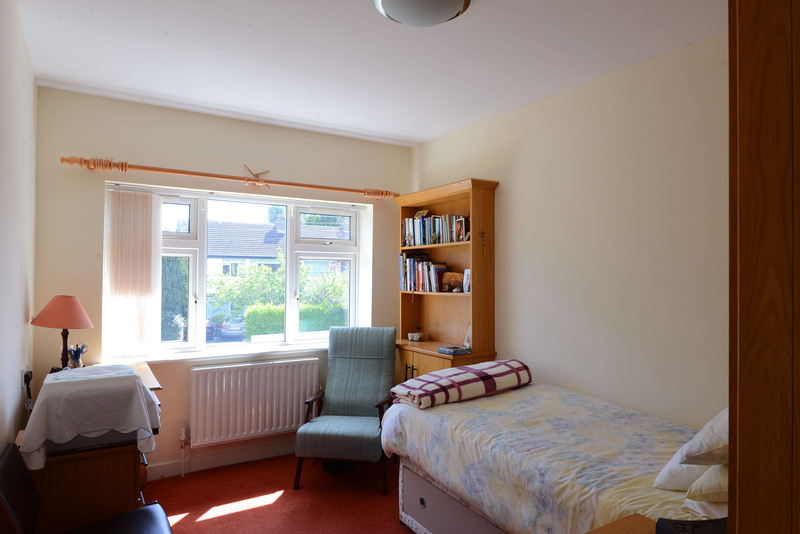 Large double bedroom, door oak fitted wardrobe gives excellent storage space, carpeted. 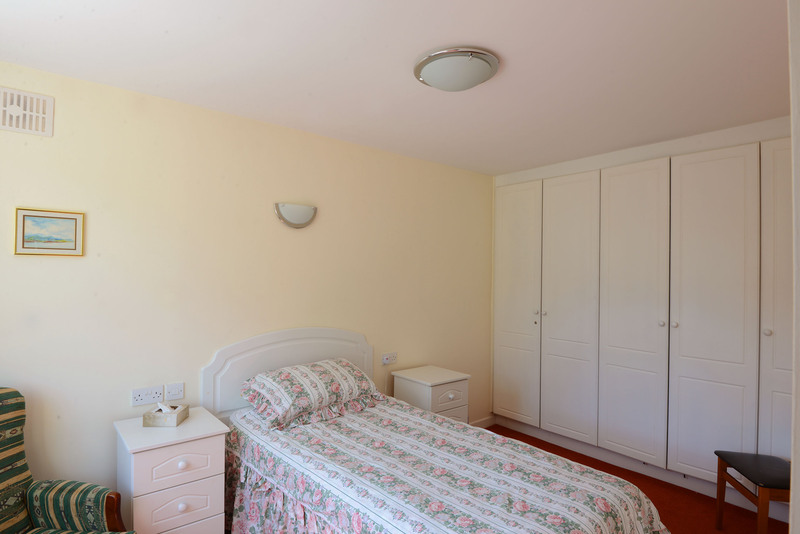 Large double bedroom, seven door oak fitted wardrobe gives excellent storage space, carpeted. carpeted, currently in use as a prayer room. - 5 bedroom, 3 bathroom c.163sq.m. / c.1,755sq.ft. 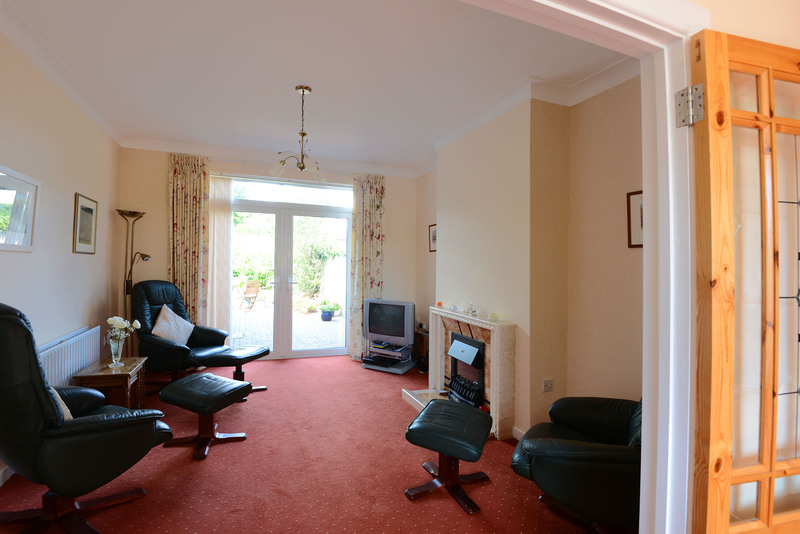 - Walk in condition, fully renovated in 2009. - Originally built around 1957. 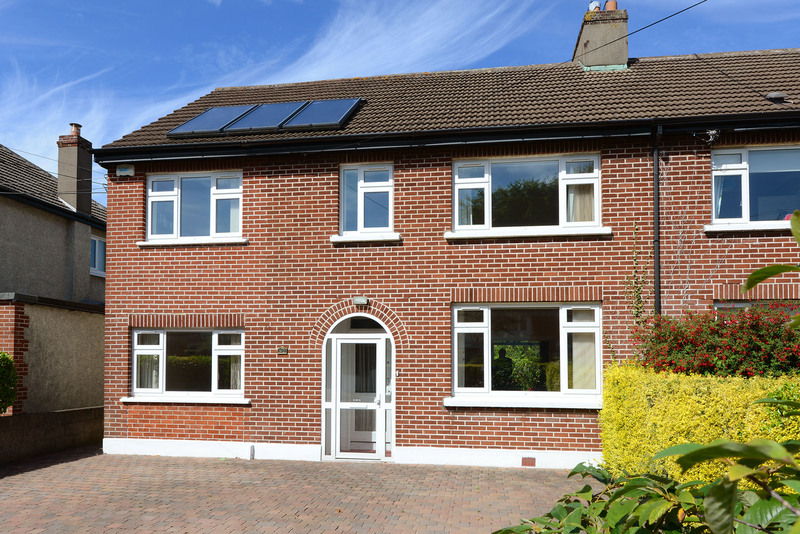 - Close to excellent schools to include Rathdown School, Rathdown Junior School & Dalkey School Project, Holy Child Community School and St. Joseph of Cluny Secondary School. - Large cobble locked driveway. - Solar panels on front of the house heat water all year round. - Three outside storage gardeners sheds with bin storage room, outside toilet, tool shed. - Large rear garden 10m wide x 20m long. - Rear shed 6m wide x 3.76m long. 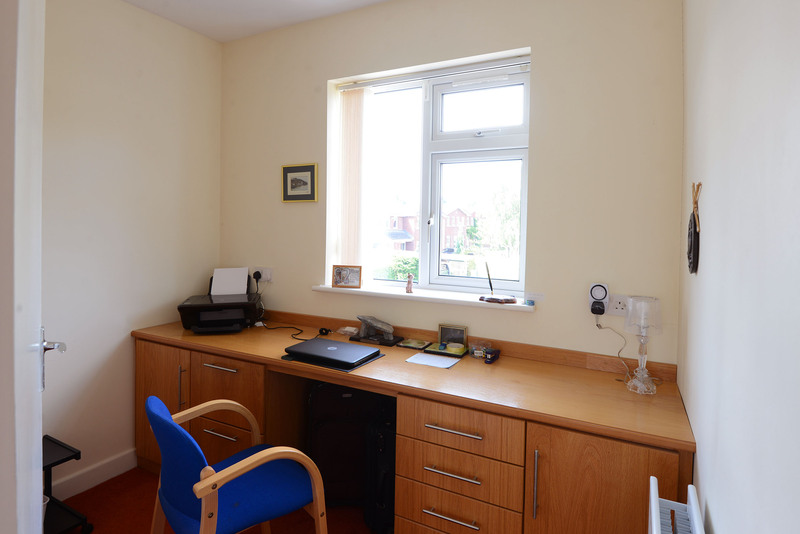 - All PvC double glazed windows (except aluminium in utility room). 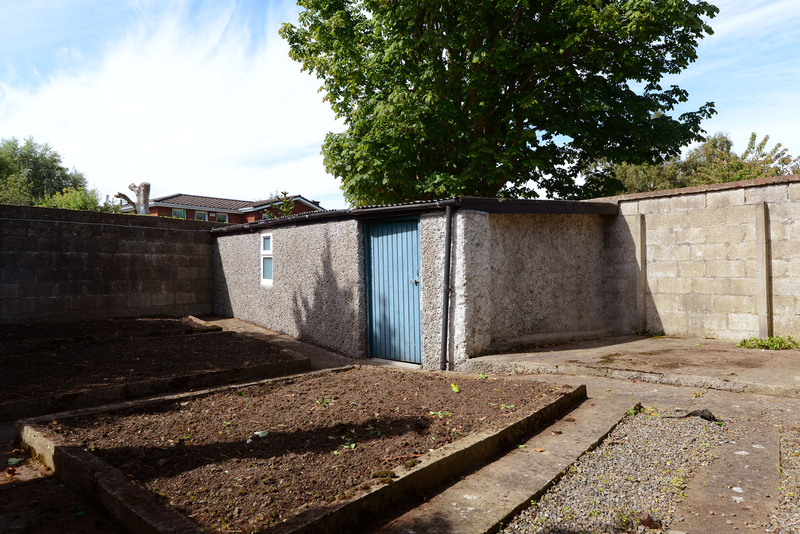 - Rear garden is spilt into two sections lawn & garden area and then separated by block wall for rear vegetable garden and shed to the rear of the property. - Large attic with light and two attic hatches & Stira ladder. West facing, lawn area, vegetable garden, gardeners shed not overlooked to rear. Just off Glenageary Road Upper.